Not able to use your owner week? Please remember that owners have several options available if they cannot use their reserved time in any given year. 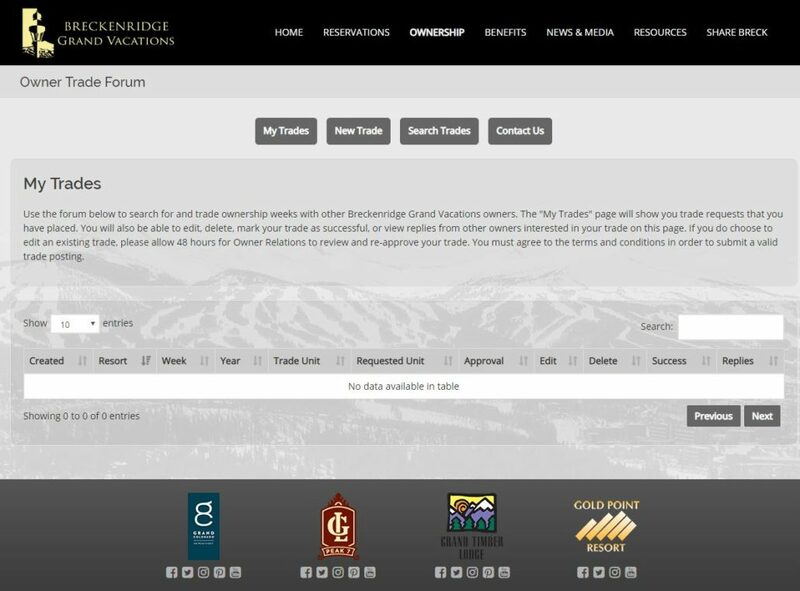 One great option is to swap weeks with another owner via the online Owner Weeks Trade Forum, located in the Ownership section of Grand Central. This service is free and can be a great alternative to giving your week away to a friend or family member, renting your time or depositing it with Interval International. To switch owner weeks, both owners need to agree to the swap and then contact the Owner Relations department to confirm. Once both owners have confirmed the swap, the dates will be changed, and new confirmation emails will be sent. These weeks will be like the original owner week, so all policies will remain the same. For more information, please contact our Owner Relations department at 877.453.4440. They are available Monday through Saturday from 9 a.m. to 5 p.m. Mountain Time. Once you have submitted your week, the Owner Relations department will approve your post in 24 to 48 hours. 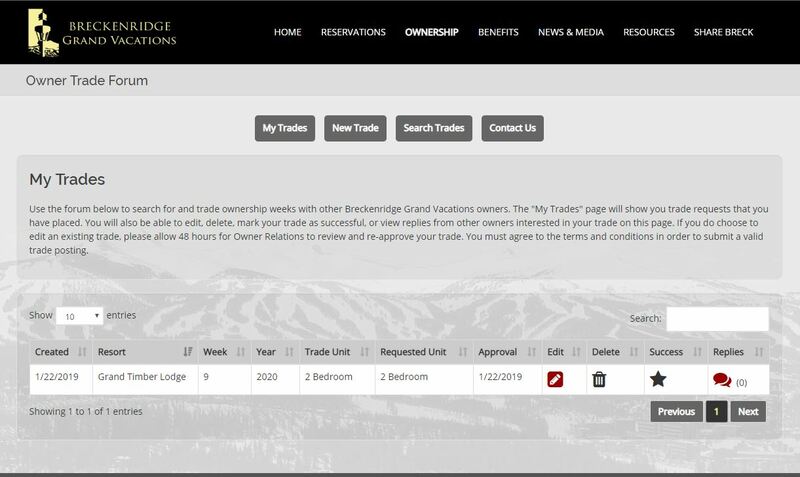 Once approved, you will see your trade and any responses you get from other owners interested in trading weeks. 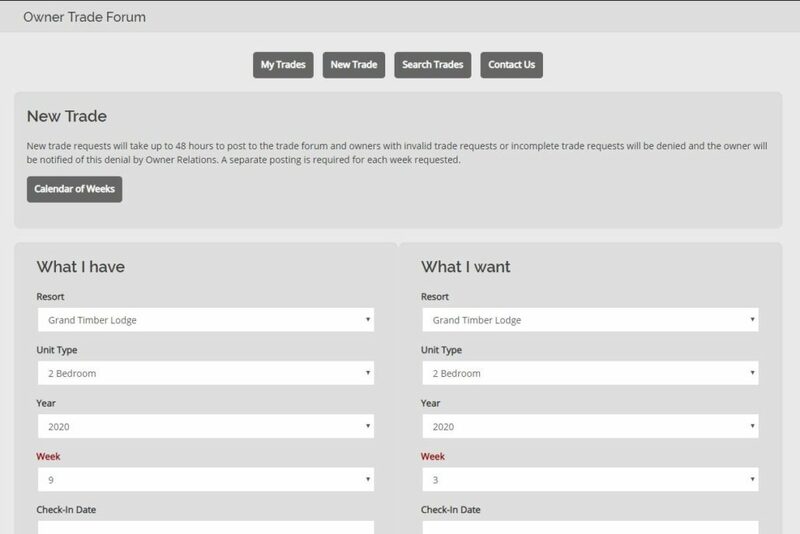 Make sure to contact any owners that are interested and then delete any old posts if you do trade weeks! Once you and another owner have agreed to swap weeks, both parties need to contact Owner Relations to confirm this. Once both parties have confirmed, Owner Relations will do the swap and send new confirmation emails to both parties with the new dates and reservation details.